Saeid Bokharaie is a driven real estate broker with over 10 years experience in the real estate industry and 25 years background in sales, management and customer service. He thrives in a results-driven environment and has a strong track record in delivering high quality customer service, exceptional results and outstanding performance. His expertise in real estate market and mortgage knowledge have made him one of the top producing agents in the company. When meeting Saeid for the first time, you will have a feeling of trustworthiness and care. He acts based on his clients needs, because he enjoys working with people and has always advised his clients as to what would be in their best interest. Besides the strong commitment and integrity Saeid brings to each and every customer, he demonstrates relationship building and negotiating skills that helps his clients financially. Saeid has provided both sellers and buyers with technical knowledge and honest opinions and his clients trust his judgment. He is very people oriented and truly works to build long and lasting relationships. You can be assured that the result will go beyond your expectations. Saeid is not just a professional realtor, he is your real estate adviser, a dedicated person and a problem solver with great degree of responsibilities who is offering extraordinary quality real estate services to all his clients. He is truly committed to his level of service along with higher standards. The service and personal attention we received from Saeid was exceptional and unexpected from a Realtor! He is truly a high-caliber agent. His knowledge of the market and his key contacts in real estate helped us in our search for sale and purchase of our dream home. After patiently going through the process and explaining details with us, he made sure we got the best offer for our previous home and more importantly, the best value purchase for the new one! We could not have asked for a better Realtor to guide us through the process. Regardless of whether you are buying or selling, We would highly recommend Saeid to help you for all your real estate needs. I have known Saeid for over 20 years and when it came time to buy an investment property and rent it, I did not have to think twice who would have to be representing my interests. He is a very knowledgeable real estate person. I found working with him a joy and felt like he was there to help me during every step of the processes. He expresses a sense of trust-worthiness that makes you feel very secure during what is without a doubt a very involved process. He is a true professional in every sense of the word, and puts his clients interests far above his own. I would be very happy to give Saeid my highest recommendation for anyone desiring to sell their property or buy one. Thanks to Saeid for all the care and devotion he put into assisting me with my investment property purchase. He was instrumental in every aspect of the buy in agreement. I really appreciated how careful and accurate he was in providing me the information that could help me make the right decision as well as how he protected me during the process. He is always resourceful and never out of reach. His in depth knowledge of the industry and market, along with his strong work ethic makes Saeid an excellent real-estate agent. On behalf of our mother and ourselves, we would like to thank Saeid for all his help in finding our mother home. Appreciate all of his advice and help in addressing all of our concerns throughout the buying process. There was s second time we have purchased a home and had Saeid as our agent. We were 100% satisfied in each deal. In the future we would not hesitate to use him again for any of our real estate needs. Because of his Knowledge and professionalism that he showed, we would highly recommend Saeid to our friends and family members. Over the past 7 years, Saeid has been a very valuable asset for us. As we were trying to sell our house in 2009 when we met him, his thoughtful, well-researched advice gave an excellent understanding of the current real estate market and he helped guide us through the process and how buyers would look at houses. Upon successful sale of our home by Saeid, we have been dealing with him continuously and have sent him several referrals which he took care of them all without any problem or issues. Saeid is our real estate broker for life. We always deal with him and strongly refer him to all our friends and family. We would like to take this opportunity to express our gratitude for the manner in which Saeid handled the sale of our property and the new purchase accordingly. It was done in a totally professional manner from its inception to its conclusion. Throughout the entire course he went the extra mile in providing the supportive services needed to finalize the purchase and sale. He walked us through every step of the process and contacted the individuals whether it be a mortgage broker or fellow realtor in order to expedite the process. His total commitment to sell our property was clearly evident and we couldn’t be happier with our new home and much of that is due to the diligence and professionalism of Saeid. We’re truly thankful of his efforts, advice and suggestions. Buying or selling a house can be an extremely traumatic ordeal, but we had a pleasant experience with Saeid who is by any measure an outstanding real estate broker.He have been very fair and reasonable throughout, and his congenial and calm personality has made every situation easy. He is never out of reach and his patience is remarkable. He is always on time-- if not early-- for appointments and follows on every detail. We surely realize the extent of his efforts and for all this and more we are truly grateful and want to say "Thank you" Saeid. We are writing to give Saeid Bokharaie our highest recommendation. He possesses all the attributes necessary to be an excellent broker. He knows his market extremely well; he is diligent, responsive, and yet very patient with his clients. Saeid is both very professional and personable. He clearly takes pride in doing a good job. In our particular case as sellers of our house, he sold our house %4 more than asking price without planning for multiple offer situation which was beyond our expectation. It would be hard to envision someone doing a better job than Saeid or being anything but happy in choosing to work with him. Anyone who has lived in a home for a long time knows what a traumatic experience it is to sell that home. Saeid calmly helped us to release that goal. We contacted Saeid from his ad when we noticed he has sold a good number of units in our building. We did not know him before and upon our interview with him, we felt very comfortable to deal with him. Saeid immediately acted to list our home. His patience and perseverance together with knowledge and expertise were appreciated. Indeed he turned a difficult situation into a tolerable one. My sister and I would like to personally thank you for a job well done for selling and buying our home. Your excellent service, frequent communication, professionalism and dependability, made the purchase & sale process so much easier for us. We knew instantly that we had selected the right Realtor. We were so pleased that every phone call to answer our questions or calm our concerns was returned so quickly and also helping us with the mortgage. Your attention to detail as well as your knowledge of the market assisted us in understanding what people are looking for in a home. You went above and beyond and we would certainly recommend your services to anyone that is interested in buying or selling a home. I am grateful to have met Saeid when he was looking for a property for one of his buyers in my area. He knocked on the door and told me that he has a buyer looking for a house in the area. Saeid was very straight forward and honest about his word. I was not ready to sell at that time but I felt very comfortable with his personality and how he presented himself in a professional manner. 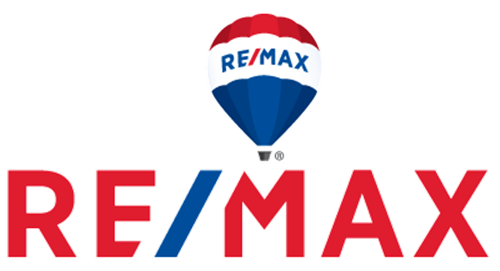 After 6 months, I contacted Saeid to list my home and I was very pleased with the time in which the house was sold, and would highly recommend him. Thank you again, Saeid, and if there is any need in the future, I will be calling on you. We are writing to express how pleased we were with Saeid who assisted us in purchasing our new home in 2012. We began working with him in buying a home in Toronto and were quite impressed with his knowledge. Being first time home buyers we felt confident in his ability to assist us in this overwhelming process. He proved to be both professional and reliable making buying our home a pleasant experience. We hope to recommend his services to others in the future and we would gladly consider Saeid for our future real estate plans. After settling into my beautiful new home, I wanted to take the time to thank you and your service you provided to me. From the first time I met you and told you that I am moving into Toronto from another location,you provided personal service and made what could have been a stressful situation into a successful business transaction and a great friendship. You were able to assist my in locating and purchasing my beautiful new home in the location which is very convenient for me and my family. You are recommended for your professional and personalized service. I would recommend Saeid to anyone interested in buying or selling a home. I would like to thank Saeid in regards to the spectacular work ethic he has shown during the period of time in which he purchased my home. His business like manner, good humor and illustrious negotiating superb salesperson. Saeid, I am glad to finally decided on you and you completed my every expectation. Thank you for your hard work, dedication, guidance and most of all for being a good friend. We would like to thank Saeid for all his hard work and commitment for the purchase of an investment property. He was always very courteous and dedicated, always keeping us informed of all the activities going on during the showings. He always worked for our benefit. During that time we became good friends. Not only he bought the house at a very good price, he also helped us renting it quickly and got good tenants. We are very pleased with his service and glad to have Saeid as our real estate agent and a very good friend. It is our pleasure to recommend Mr. Bokharaie as a top real estate agent who helped us to buy our first home. Saeid was referred to us by one of our friends. From our initial meeting until we bought the house, he kept in touch with us for almost one year. He always tried his best and was ready with excellent advice to get us the best deal on the house. We recommend him for his expertise, experience and integrity. If you’re thinking about listing your home and you’re not sure which agent to list with, may we suggest that you list with Saeid Bokharaie? While it might not seem that the listing agent matters, let me tell you – it does. Not all situations are alike. You may need to sell quickly, you may want to get the highest price even if it takes a bit longer, you might want to do improvements to reduce sales time but aren’t sure what will matter. Trust Saeid. He was patient. We worked the selling plan together, and he gave wise counsel along the way. If you want a listing in the MLS and a sign in the yard, you can get that anywhere. If you want a trusted partner, you want Saeid. I had previously tried to sell my house a few times, but with no success. We went through a few agents trying to do so. While my home was listed for sale with another agent, Saeid showed our home to one of his clients. During the visit with his buyer, I noticed his professional manner and knowledge of the area while talking to his buyer. When my listing was expired with another brokerage, I contacted Saeid to list our home. Right from the start I realized I made a right decision. He was very articulate, patient and professional. During the offers and counter offers, Saeid turned out to be not only my agent, but also a very good lawyer and adviser, by getting almost 100% of asking price. I am extremely happy and highly recommend Saeid to anyone. Saeid was a great help for me in 2008 when things were not going as expected and I had to sell my home fast and I was not successful through other agents He listened to my need and acted quickly to put the house in the market. His professional and effective marking generated many customers that ultimately resulted in a multiple offer situation which was beyond my expectation. He also helped me to buy my home and negotiated a great deal on the purchase. He is very caring about his clients and a problem solver who is always available for any questions or concerns. Saeid is really knowledgeable in the real estate business and a great professional. He is recommendable for anybody who has difficultities selling/buying properties. We wanted to thank Saeid for helping us sell our house and purchase our new home in. His effective and impressive marketing resulted in selling our house for more than asking price in just 5 days and We really appreciate his efforts. He is quick to return calls, answer questions and advise on matters concerning selling or buying. He stayed in touch with us regularly before and after the sale and we also felt both transactions were handled in a very professional manner. Real estate information was clear and concise. We enjoyed working with Saeid. Just a note to express my appreciation of the professional manner in which Saeid handled the purchase of my home. I was especially pleased with his attention to details and understating my situation from our first meeting in an open house in 2009. He quickly made a follow up call the day after open house and we started looking for properties the following weekend. Saeid was very cooperative and patient to help me find a very good house. I am extremely pleased with him and will not hesitate to recommend him to my family and friends. I am more then happy with the service and professionalism of Saeid in presenting me to purchase my home. He listens to his clients and acts based on their need. He helped me to find the best location and property that suits me. Saeid has done several businesses through my family and everybody is glad to have dealt with him. But the greatest thing is that he and his family are now good friends with my family. I always rely on his advice and expertise in real estate. Saeid has been a great source of information and guidance for me as I looked to buy an investment property in 2008 and then sell my condominium. His thoughtful, well-researched advice gave an excellent understanding of investing in real estate and he was able to sell my condo in one week for %100 of asking price. He then helped me to buy another property. He is now a very good friend of mine that have recommended him to a lot of my friends and family who have been very happy with Saeid. I would highly recommend him to anybody who is looking for a positive result, honest opinion and professional service. Just a brief note to thank Saeid for selling our home. He was introduced to me by my brothers who has already had great experience with him. There is no way we could have sold it in a relatively short space of time considering our situation to close the other home we had purchased. I think his many years of experience and contacts in real estate field really made the difference. I would highly recommend Saeid services to anyone that is contemplating selling or buying a property. Just writing to say thank you Saeid for all that you did to help me sell and find a new home. I really like the time and patience that you showed me as well as the individualized attention. There were times when I was ready to give up and you told me to hang in there. Well I did and I could not be happier in my new home. Thank you so much for making this all possible for me. If I ever know of anyone who is trying sell or buy, I will gladly recommend you as a realtor. You are the best! Dealing with Saeid was a pleasure. He shows great professional and communication skills. We were approached by him when he was door knocking and told us that he has a buyer.We were no thinking of selling for another year but he insisted on viewing the house. He told us that his buyer would love the house. He fulfilled his commitment and brought them back in a few days. He brought the offer that we agreed to sell for the right price, terms and the closing date. As a real estate broker, he has all the right qualifications and we always recommend him to others. Saeid has an incredible ability to read his clients. He puts this quality to work exclusively for his clients' interests. By listening to us and our individual taste, he knew before we did which house matched us best. But he never pushed. Only when we asked did he respond with his opinion of which house matched us best. He is amazingly responsive and a hard worker! He is in a class of his own with going above and beyond. He makes the entire process from start-to-finish feel effortless and treats his clients that they are the most important he has ever had. It is a pleasure to work with Saeid.